If you’re moving to New Zealand, join us and find out how to make the dream a reality! NZ is currently experiencing record levels of immigration and more employers are struggling to find skilled people so are looking offshore. We will be joined by our DUC NZ Migration Agent Paul Goddard, who will be able to give you migration and visa advice. 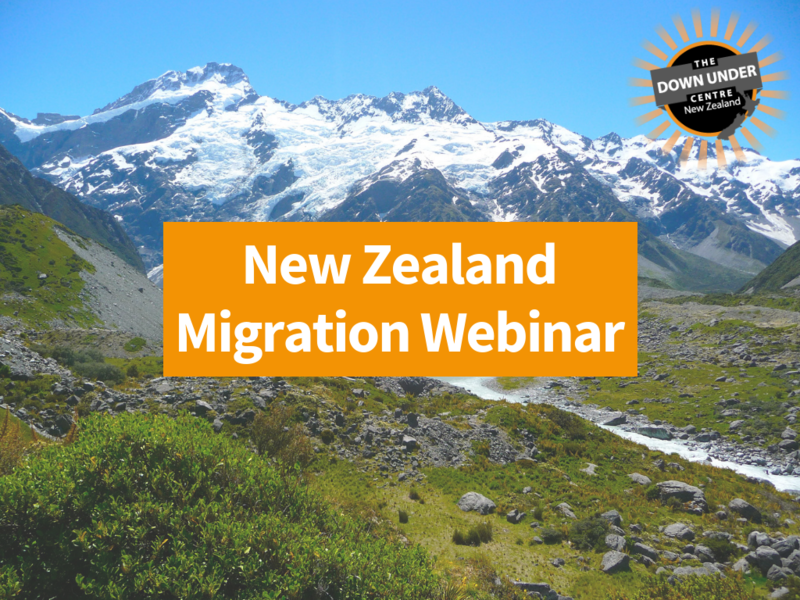 It is time for our FREE monthly webinar and this month we have a NZ based recruiters joining us looking for skilled people to make the move so make sure you don’t miss this! We also have expert partners joining us assist you on your migration journey and making sure you have everything sorted prior to departure! Our partners can assist you with Banking, Shipping and Removals, Foreign Exchange, Pensions and more! Plus you get the chance to ask questions during this hour long session in the live chat room and we will be offering a free CV template to be used for applying for jobs down under to everyone who attends. Join us online to hear from employers from New Zealand who are looking for skilled migrants to join their teams! We have employers in Healthcare, Education, Construction, Engineering and more joining us on the webinar to talk about how you can secure a job before arriving down under. You can also connect with employers using the DUC Employment Hub! There are plenty of migrants in the visa process, waiting for a visa grant or already have their visa. Every one of those will need a job. In Australia and New Zealand, there are employers requiring those migrants. The DUC Employment Hub matches them up. Visit our website www.ducemploymenthub.com to find out more! Our New Zealand webinars are the third Tuesday of every month! We know that the first time can be a little confusing so here is how it works. You will need to register for the webinar by clicking the above ‘Register Now’ The email you use to register will then receive an email confirming your registration. This email includes a button that will allow you to join the waiting room. We suggest you join 30 minutes prior so you can secure your spot! If you are watching on your phone or tablet, you will need to download the ClickMeeting App before clicking ‘Join Now’. Access your emails on your phone for the confirmation email, and when you click ‘Join Now’ it should take you straight to the app. Once the webinar has started, you’ll have experts presenting and even a chat room to speak amongst other attendees and presenters if you have any questions!